Summer in the garden was really great. We spent a lot of time weeding and harvesting. 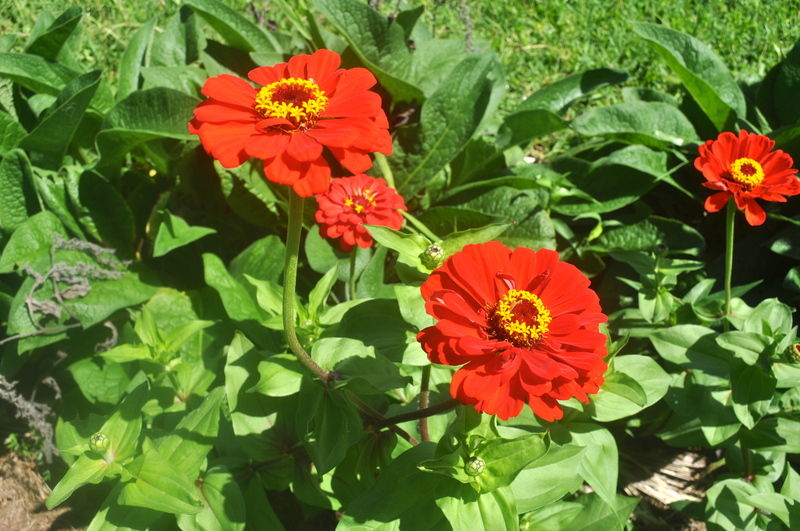 I planted a lot of flowers this year, so me and the boys had great fun picking zinnias, marigolds and cosmos to make into arrangements for the house. We’re still enjoying the abundance of flowers, and i’ve had to cut back the marigolds because they grew so tall as to cover all my collards and kale! 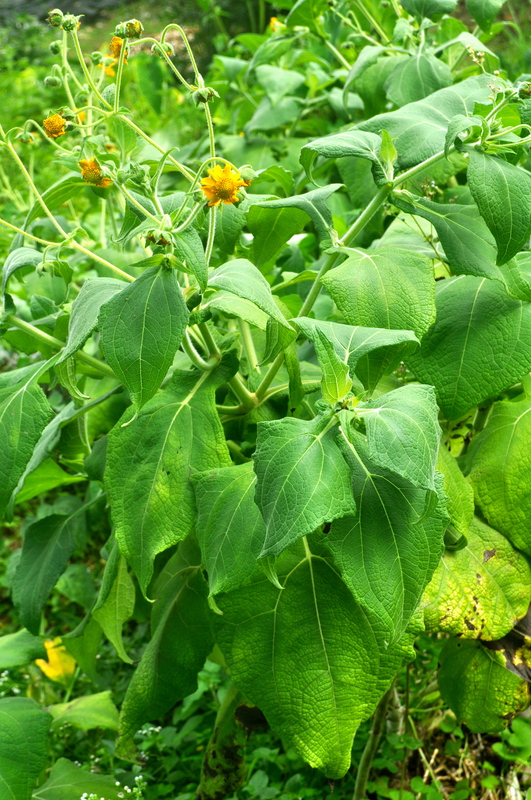 We harvested lots of green beans, tomatillos, and are continuing to harvest greens and herbs. My eggplants did pretty well after i helped them out with compost tea, but now the plants are dying. 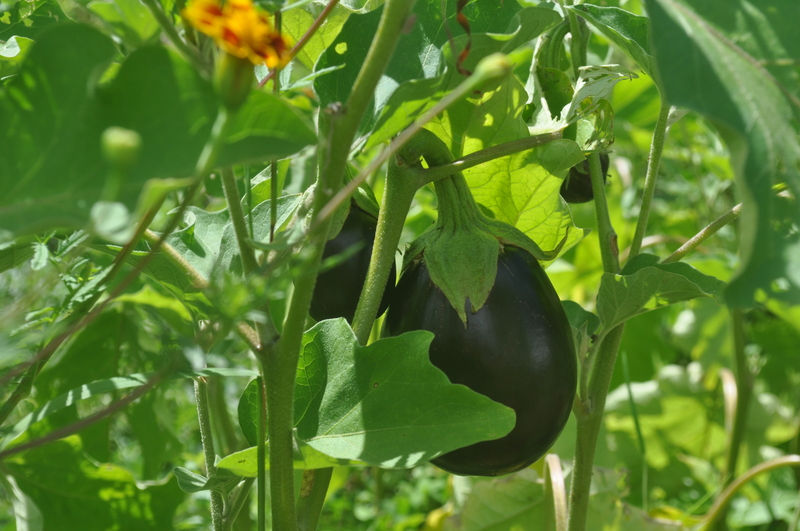 We were able to harvest a good number of eggplant though, enough to wonder what to do with them all after awhile! Now we have quite a few empty beds, and have started some more seeds for our winter planting. It’s already started raining more every day, so we’ll try to keep it simple in the garden, with some more kale, winter romaine, green beans, cilantro, parsley and calendula. We are beginning to harvest our yacon, which is a South American tuber that is watery and slightly sweet, and is eaten raw. We grow ALOT of it, and now we have alot to harvest! 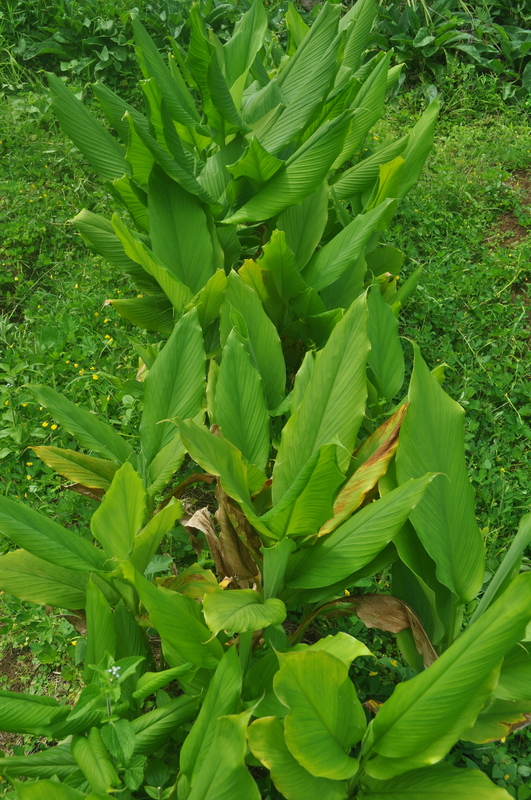 We will also be harvesting a good sized bed of tumeric soon, which grows well in this climate also. 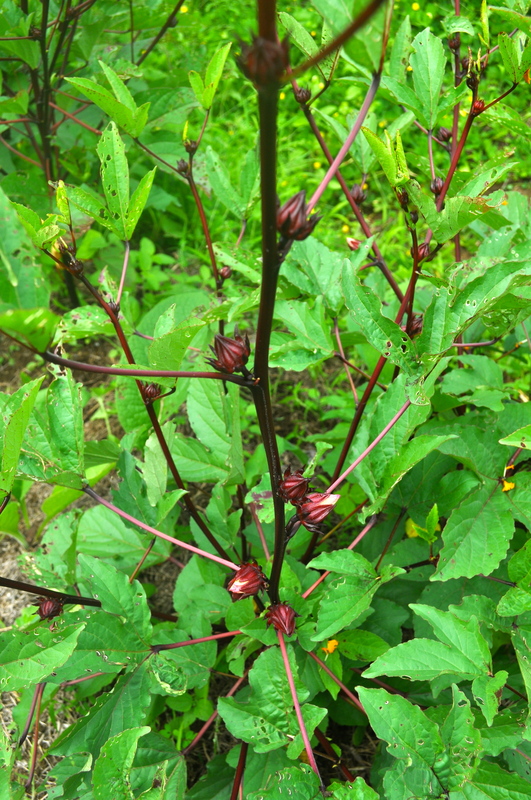 Another plant that i’ve been enjoying this summer is zinger hibiscus, or Red Thai Roselle. 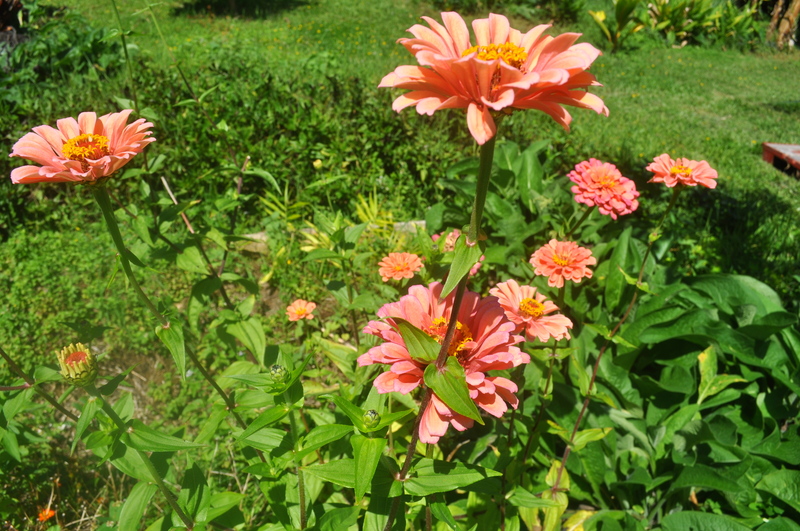 It’s a pretty plant, and makes a lot of flowers that i can harvest and dry for tea. There’s always something growing here, even if it’s not the typical mainland veggies. I’m learning to enjoy the tropical food that doesn’t take as much work to thrive here, and i’m also realizing how amazingly healthful all these foods are! Now the garden needs a lot of weeding, with all the rain we’ve been having. I’ve mulched our empty beds, and will be replanting in a few weeks. The cycle never ends here, we won’t get a winter break! But we’ll continue to enjoy fresh food from our garden year round. What a sweet thing. This entry was posted in gardening, health food. Bookmark the permalink. 1 Response to Goodbye Summer, Hello Autumn! yes, what a sweet thing…………..and YOU are such a sweet thing!!!!!!!!!!!!! !